It’s that time of year again where character’s sexualities are revealed. Seriously! That’s what Blizzard Entertainment slyly did with their mascot for Overwatch, and since everyone’s been talking about it, I figured I might as well throw in my two cents. “Reflections” is the 10th Overwatch comic to date, and it’s a nice little holiday treat for the fans. The premise is the game’s mascot, Tracer, is zipping about trying to find a last minute gift for the holidays. The fun is in the idea that a hero can fight the bad guys and save the world, but she can’t make it to a store in time to buy a gift. There are other obstacles she faces and it’s hard not to smile as she desperately tries to do some good while being a little selfish. When the gift is finally delivered to someone who could just as easily be Tracer’s female roommate, she opens her perfect gift and gives our heroine a big smooch on the lips. From there they show up for Christmas dinner at the 11th hour with everyone’s favorite gorilla, Winston. It’s heartwarming and perfectly encapsulates the holidays. Oh right … Tracer is gay. It’s big news because Blizzard has been carefully giving their fans little bits of information about their favorite characters since the game launched. It’s also, in my opinion, awesome. Society has become more progressive and has demanded more from its entertainment. People are tired of underwritten white characters. 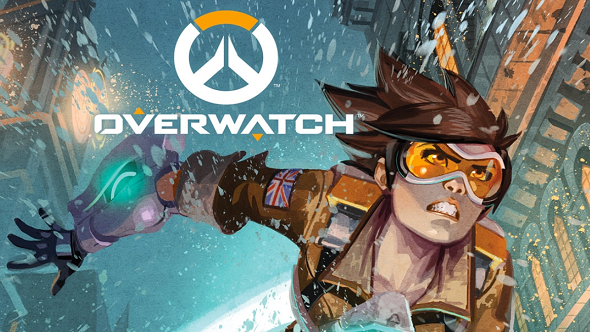 In an industry heavily dominated with males and a sexist stigma, Blizzard was brave enough to put a woman on the cover of their shooter, and she just so happens to be queer. While the gaming company could have easily made another, more minor, character gay, they went all in and did so in a manner that’s well played because they don’t force it upon fans—it’s one block amongst five on the page, much in the way it should be. If it were her first kiss, then sure, make it a splash page, but why should a holiday kiss with a partner be a big deal? For that matter, why should it really be a big deal that Tracer is gay? The answer is that it shouldn’t be, just like it shouldn’t have been a big deal for Captain Kirk to kiss Lieutenant Uhura. But until these firsts have been conquered and become seconds, thirds, and it is commonplace for queer characters to be on the front lines of mainstream, multi-million dollar projects, Blizzard is a pioneer, and it is a big deal. Until next time … cheers love!